Diwali celebrations proved to be greener, cleaner and safer at local town and surrounding localities, this year. No major incident involving human injuries or loss to property was reported except damage of two-wheeler due to accidental fire. Awareness campaigns about causes and consequences of environmental pollution, rising prices of crackers and protests by some categories of employees, including teachers were cited to be major reasons behind the change. Suraaj Mohammad, president, Municipal Council, appreciated that residents had responded positively to the appeal made by the administration and social organisations regarding celebration of greener Diwali by abstaining from bursting crackers and planting trees. “We are glad that residents have shown concern about the degrading environment and contributed in maintaining the pollution level low this year,” said Mohammad, maintaining that authorities at various schools had played important role in persuading students shun bursting of crackers. Rakesh Kumar, a government schoolteacher said, members of almost all teachers’ unions had observed Black Diwali this year. “Even, if we could have wished to celebrate the festival it was beyond our approach to buy expensive crackers and rockets,” said Kumar. 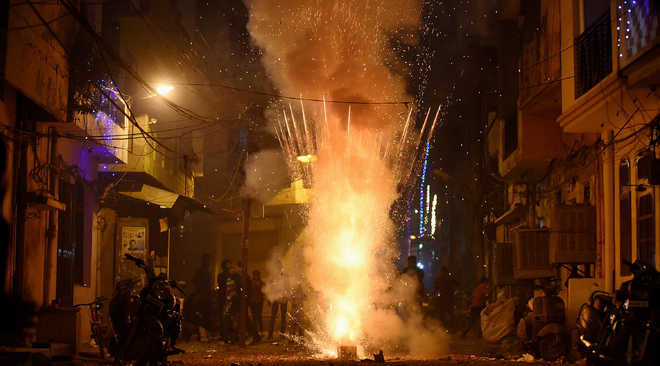 Pardeep Sood, chief pharmacist, civil hospital, said no incident involving injuries due to firecrackers was reported at any of the hospitals in the region on Diwali. Meanwhile, Councillor Deepak Sharma informed that a major fire was averted by timely help of residents and supervision of SHO (City) Shashi Kapoor in preventing fire caused to a two-wheeler in densely populated area of Gandhi Chowk last night. Awareness campaigns were organised about causes and consequences of environmental pollution, rising prices of crackers. 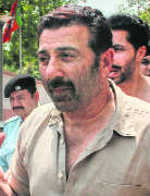 The authorities concerned at schools had played an important role in persuading students to shun bursting of crackers.